I’ve already posted about the fab squash we grew on the allotment this year, and now it’s time to eat them. 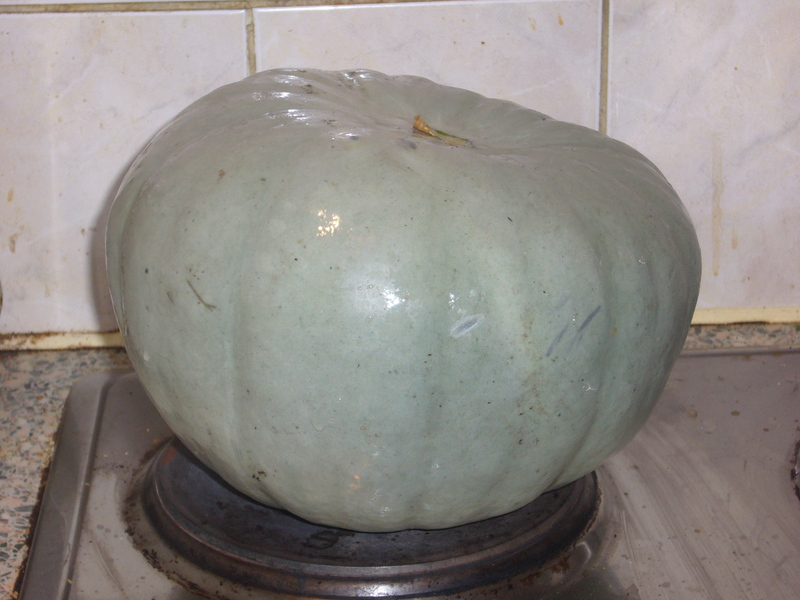 First up, the crown prince squash. 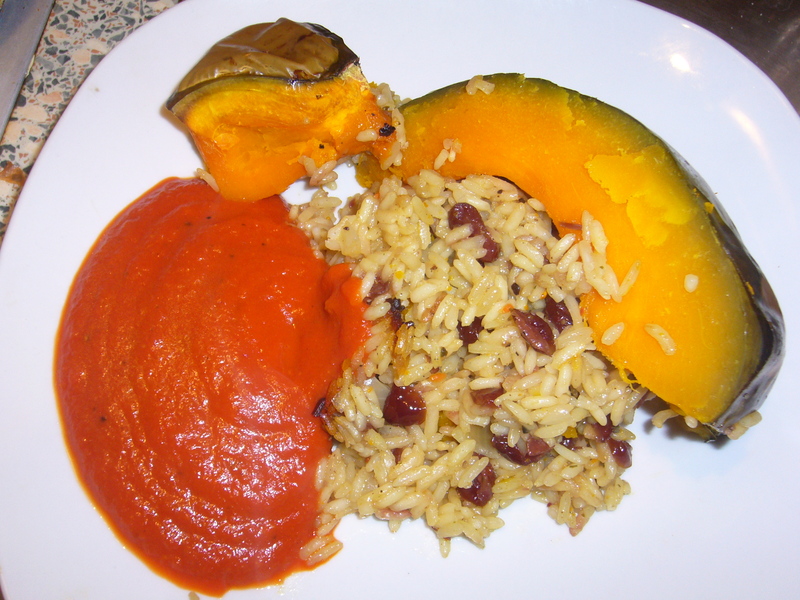 I hit my cookery books and the internet and finally settled on a Nigella recipe from her Christmas book but also published in the New York Times; Roasted Stuffed Pumpkin . She recommends cooking it as a vegetarian Christmas Dinner but it was Sunday dinner for us as well as lunch and dinner on Monday and Tuesday. 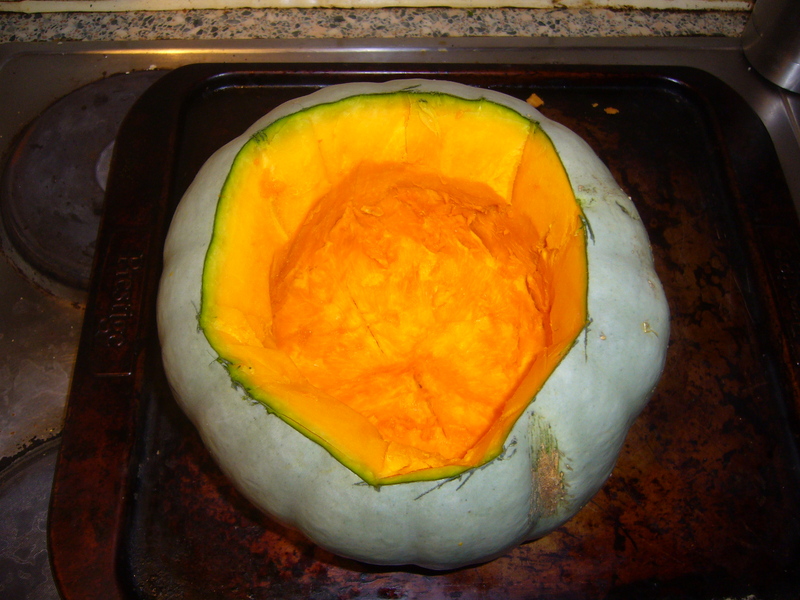 The hardest part was hollowing out the squash, but it looked beautiful, bight orange flesh contrasting with the steel-blue skin. 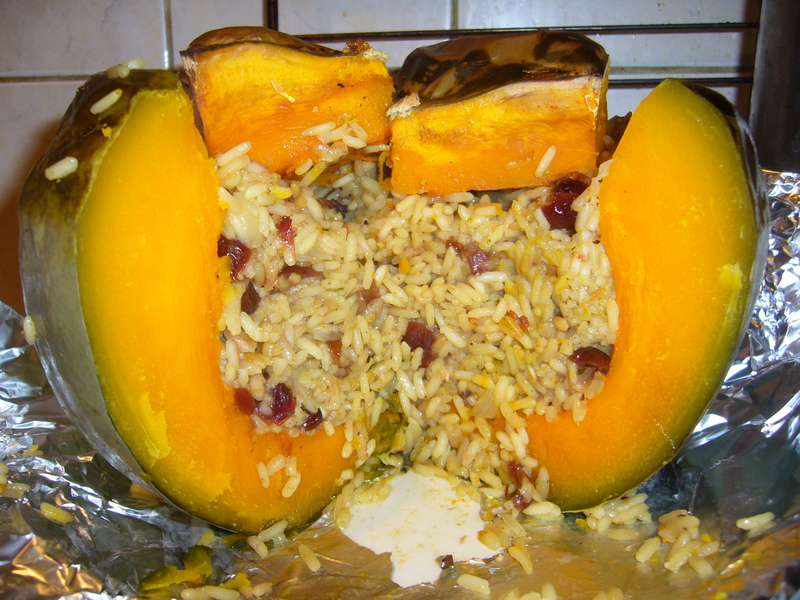 The filling, with rice, cranberries, clementine zest, ginger and allspice smelt very Christmassy was very simple again with the ingredients simmered for 15 minutes before being put into the hollowed out squash, the whole thing then went in the oven for 3 hours. TADA! It looked lovely and tasted wonderful and it still did on Tuesday. We ate it with a ginger and tomato sauce from the original Nigella recipe (passata, a clove of garlic and ground ginger blitzed together) and it was gorgeous. It would work very well as a Christmas meal and would serve a lot of people, although it did need the sauce to stop it becoming dry, especially on Monday and Tuesday.